In 1963, the public first fell in love with secret agent James Bond (Sean Connery) in the film Dr. No. Part of the public’s infatuation with the spy came from his charm, wit, and bravado. He had a captivating persona, helped in part by the Alpine Sunbeam he drove in the film. At the time, no manufacturers were competing to get their vehicle in a 007 film for bragging rights. That came later, beginning with Gold finger and the use of the Aston Martin DB5. Since then, Aston Martin has become ubiquitous with the 007 movie franchise, even though it hasn’t always been the go-to manufacturer. Now, nearly 60 years later, James Bond has succumbed to the pressures of climate change and is adopting an eco-friendly approach to his spy car. 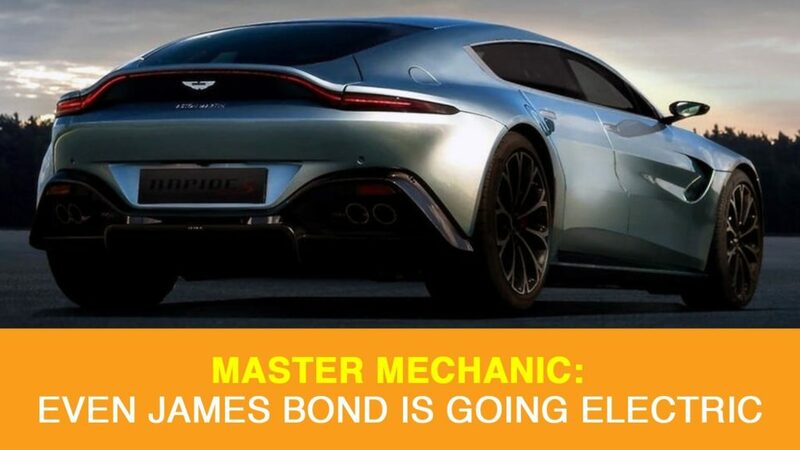 This doesn’t mean you’ll see 007 taking transit in a hemp suit–but you will see the sleuth behind the wheel of an electric vehicle for the first time ever. Fans of the franchise needn’t worry; although he’s swapping his beloved supercar with an electric vehicle, it will still be an Aston Martin. In fact, it will be an electric version of the trademark Aston Martin he first drove in the 1963 classic. The Aston Martin Rapide E is one of only 155 zero-emission electric cars being built by the British manufacturer. In-line with Bond’s life of luxury, the supercar is expected to retail for about CAD 400000. Although it’s electric, the car still packs very impressive performance specs under the hood. The Rapide E’s twin-motor drive system channels about 600 hp to the rear wheels, getting it from 0 to 100 km/h in about four seconds. With a top speed of 250 km/h, Bond shouldn’t have trouble keeping up with–or escaping from–any of his enemies. We’ll have to wait to see what kind of special spy tech the car gets outfitted with in the film. The first Aston Martin Rapidem E is expected to be released to the public the same year as the 25th Bond installment, but with so few being made, you shouldn’t expect to see one on the road! To see the car, you’ll likely need to head to your local theatre to watch the film, which is scheduled to premiere on April 8th, 2020. In the meantime, you can check out a full list of cars driven in the 007 film franchise here. How do you think the Aston Martin Rapide E will stack up? At Master Mechanic, we offer full-service on everything from compact cars to luxury spy cars (shhh). If you have any questions about your car or want to schedule an appointment with one of our fully-licensed technicians, contact us today!